Tesco PLC. is a British famous multinational grocery and general merchandise retailer, the largest in the world, with Tesco Lotus, operated by Ek-Chai Distribution System Co., Ltd., forming their Thai entity, recently hosted the “PS Business Partners Communication” event on March 24, 2017 to thank their vendors as well as to announce their strategy for the year 2017/2018. On this occasion Christiani & Nielsen (Thai) Public Company Limited were proud to receive the award of “Best Contractor of the Year 2016/2017”. The honorable host, Mr. Tharade Chearapaisanjaroen, Head of Property Services (center) presided over the prestigious event. 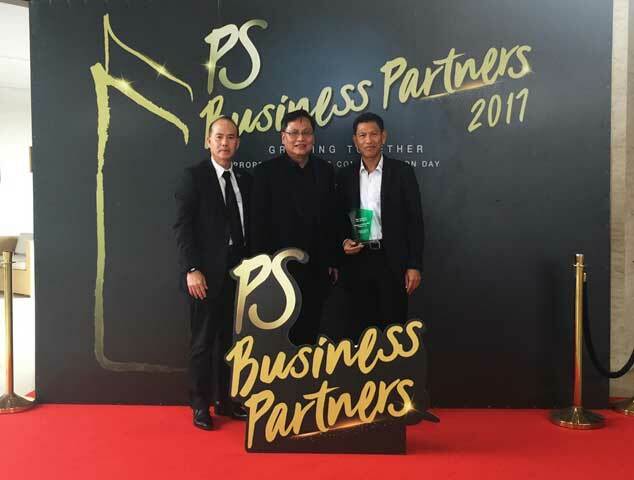 Representing Christiani and Nielsen (Thai) PCL were Mr. Pichet Nimpanich, Director – Business Development (left) and Mr. Watchara Promkhuntong, Head of Industry and Hypermarket Business Unit (right) to receive the award from Mr. Tharade. We would like to wish Tesco Lotus of the best for the future and would like to continue assisting in any way possible to be part of their success story. CPRAM Company Limited, a subsidiary of Charoen Pokphand Group (CP Group), awarded Christiani & Nielsen (Thai) Public Company Limited the construction contract for the Structural, Architectural, MEP and External works for the Delicatessen Frozen Food Factory and relevant facilities, totaling approximately 14,000 m2 of floor area. The project is located in Khon Kaen province. Klang Market Detudom Co., Ltd., intended to become the largest department store in northeastern Thailand, awarded Christiani & Nielsen (Thai) Public Company Limited the contract to construct 11 buildings for their community mall project, comprising of Structural, Architectural and External works with total floor area of 41,640 m2. The project is located in Nakhon Ratchasima province. Cargill Meats (Thailand) Limited, a specialist in providing high-quality ingredients, meat and poultry products, and health-promoting ingredients and ingredient systems to food and beverage manufacturers, foodservice companies and retailers worldwide, awarded Christiani & Nielsen (Thai) Public Company Limited the construction of their hatchery expansion for their facility located in Nakhon Ratchasima province. Betagro PLC., having established a famous livestock production facility in Pak Chong, Nakhon Ratchasima Province, has expanded further into the integrated agricultural sector with a complete production base in Lop Buri Province. 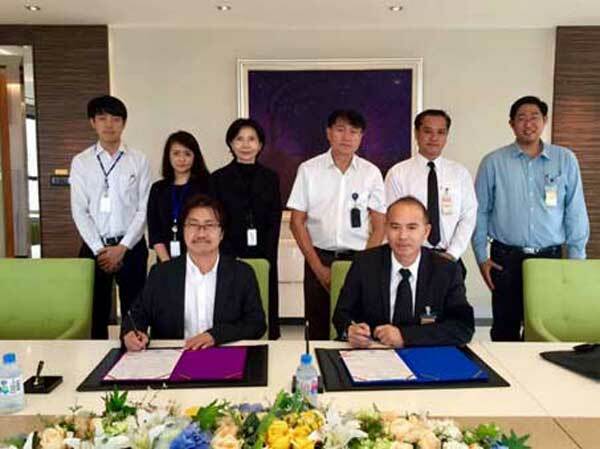 They have awarded Christiani & Nielsen (Thai) Public Company Limited the construction of their new slaughterhouse facility in Lop Buri province. CPRAM Company Limited, a subsidiary of Charoen Pokphand Group (CP Group), awarded Christiani & Nielsen (Thai) Public Company Limited the construction of the Structural, Architectural, MEP and External works for constructing the Delicatessen Frozen Food Factory Extension in Chonburi. The project consists of a total floor area of approximately 4,200 m2. 2-storey food court and 182 shop-houses in total floor area approximately 57,000 m2. to form a wholesale market located in Pathum Thani province. existing PUP, totalling approximately 2,200 sq.m. of floor space. their New MegaHome Store in Chiang Rai. an underground water tank and fire water tank and has a total floor area of 17,730 sq.m. between Km. 238+000 to Km.240+500 on Highway Route No. 12, located in Phitsanulok.